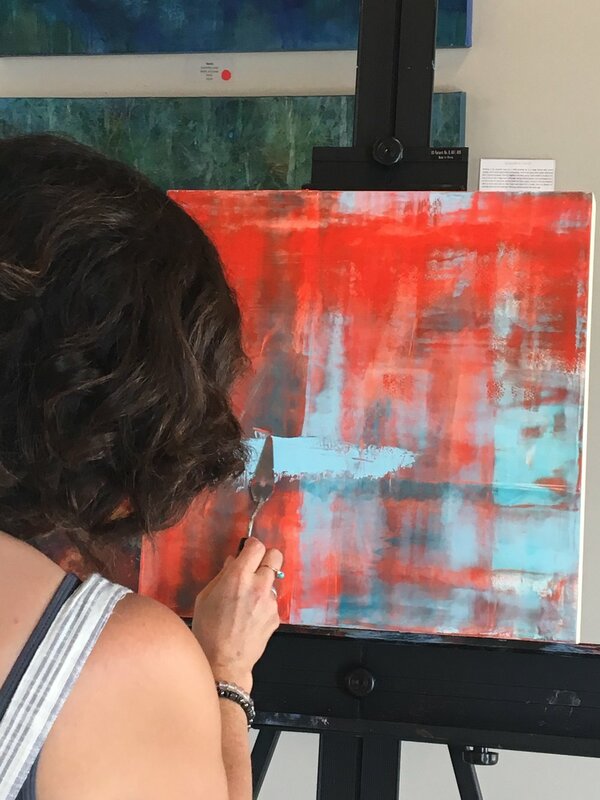 Silver Circle Art Gallery in Putnam, Ct offers a range of high caliber Professional Artwork, Handmade Gifts, Art Classes and Integrative Art Therapy Wellness programs for the New England area. stay connected to your local art hub! BLOCK 134 is the new arts and wellness co-op and community venue that houses gallery space, a community lounge, private services offices, an art studio, and large spaces for rent to conduct workshops, private parties, weddings, and events. 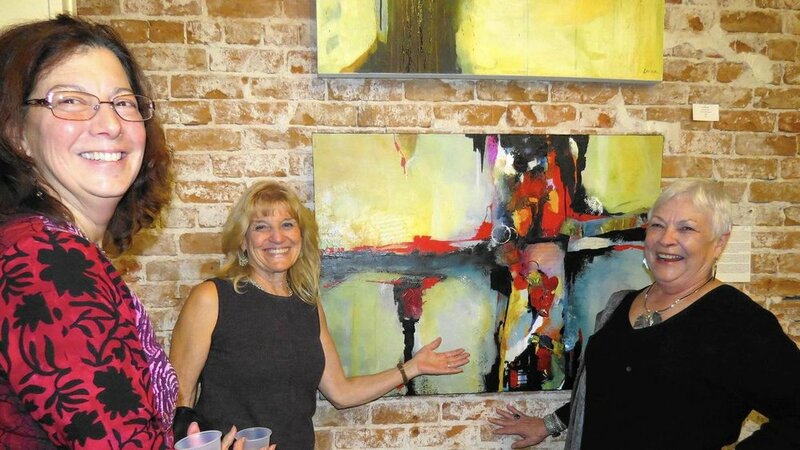 Silver Circle Gallery is proud to curate BLOCK 134 with it’s ongoing local artist displays. SILVER CIRCLE CELEBRATES 10 YEARS! As Silver Circle Gallery celebrates its tenth year, we are thrilled to have expanded our presence in downtown Putnam by relocating to BLOCK 134 Main Street. This strategic move continues to allow Silver Circle to offer an even more diverse range of creative programs and art displays in a larger space. Since 2008, the Silver Circle Art Center has fulfilled its mission to enrich our area's creative fabric, promote and contribute to its economic viability, enhance the quality of life for our community, support regional artists and art educators, and provide a space for them to engage with the public. Silver Circle continues its collaboration with P.S. Art Gallery, the official gallery of Pomfret School since 2013. Pomfret School Gallery is home to a rotating exhibit of student, faculty, and guest artwork and performances. In addition to the real-world value of creating and curating an exhibit, many of the student pieces are available for purchase, and the proceeds benefit the operation of Pomfret School Gallery. Silver Circle has become recognized as a culturally relevant asset to NE CT by helping to establish and enhance the growing arts district in Downtown Putnam and beyond. 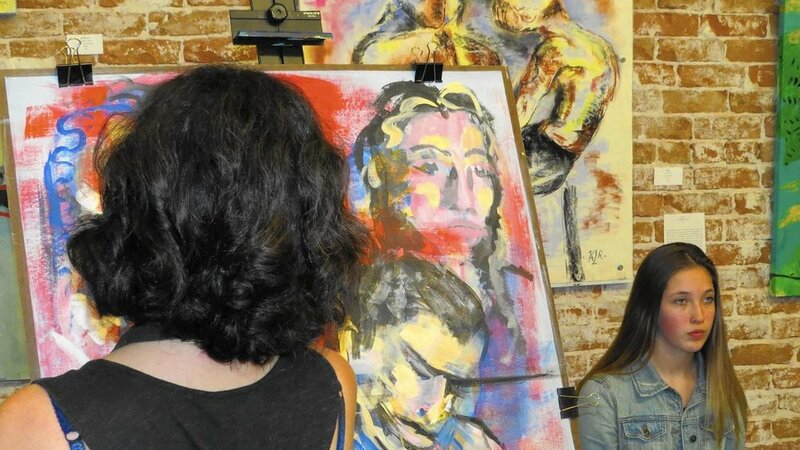 Silver Circle has fostered community art appreciation and education with rotating exhibits, demonstrations, gallery talks, events, art classes for all ages, and access to the health benefits of creativity through our Integrative Therapeutic Arts Program (ITAP). Silver Circle Art Center has been awarded as Best Art Gallery in 2016 and 2017 by Norwich Magazine for its positive community impact. 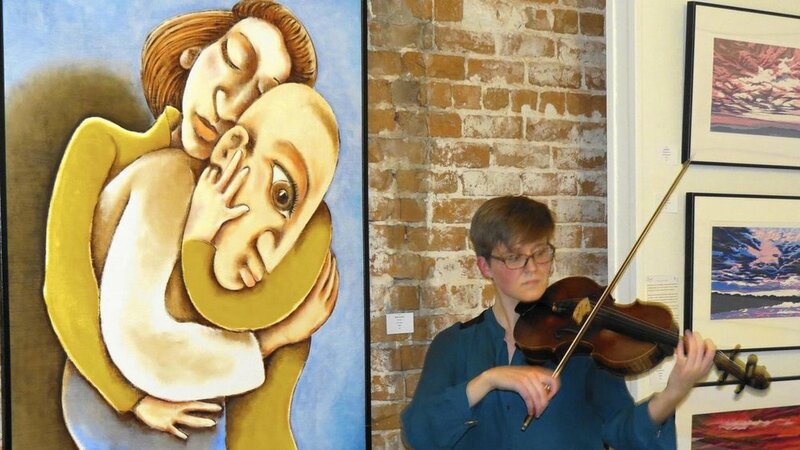 Silver Circle Gallery and Art Center in downtown Putnam, Connecticut, New England, was established in 2008 as a venue to represent local and regional visual artists and to enhance the abundant creative network in NECT. It has been a dynamic place for artists at all career levels to convene, connect, share, inspire and enrich our tight-knit community. Our beautiful art gallery compliments our artist's varied work. 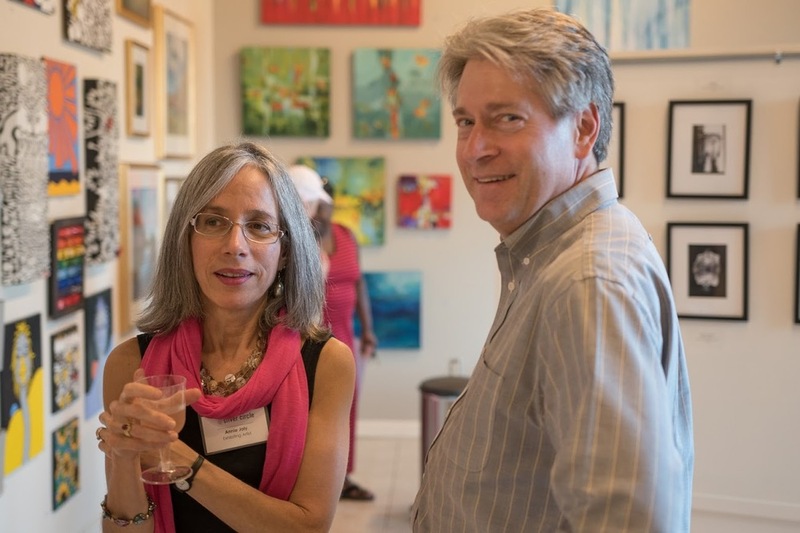 Silver Circle is a professional launching pad for local artists and fosters art appreciation through rotating art displays from over 50 local artists, gallery talks and demonstrations, and an arts education and therapeutic arts program. 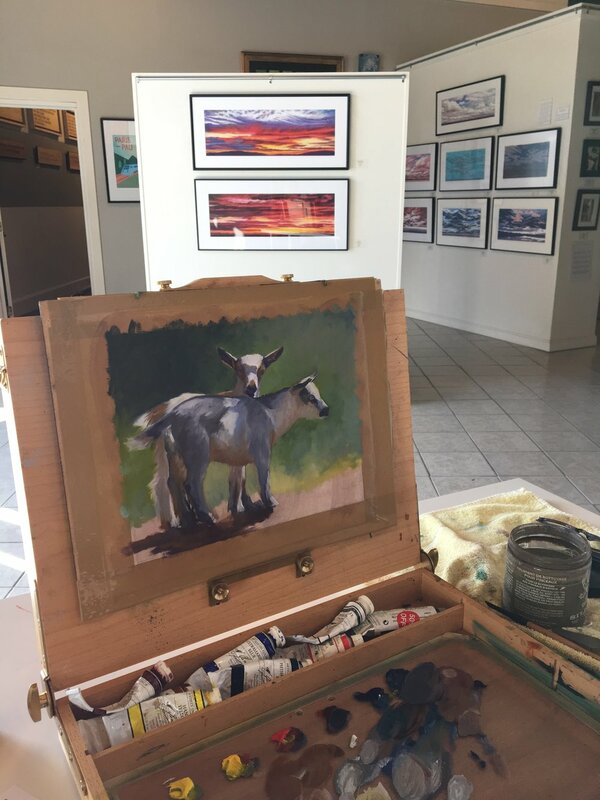 The bright, contemporary art gallery offers rotating displays by our art collective members, with a wide variety of quality fine art in a broad price range and style. We also have sculpture, art glass, and assemblage, handcrafted jewelry, textiles, pottery, and gifts by local and regional artisans. The PS Art Gallery space shows Pomfret Preparatory School's student and faculty works. We offer a wide range of art classes and art workshops in a friendly environment that encourages everyone to find your inner artist! 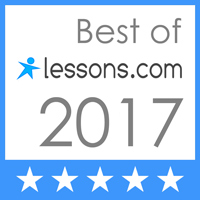 Discover the joys of creativity while building skills. Find out for yourself why art is so important and fun! We have a wonderful selection of high quality, handmade gifts by local artisans in all price ranges. Unique jewelry, textiles, blown and fused glass, pottery, and more. Skip the mall & find meaningful gifts here that are 100% original. Silver Circle shows a host of local and regional collective member artists throughout the year in our art gallery. Enjoy frequently changing displays in a variety of styles, sizes, and price ranges. Custom paintings and prints are also available. BLOCK 134: Community Venue & Arts and Wellness Co-op — our new home! BLOCK 134 is a beautiful, spacious venue located at 134 Main Street in Downtown Putnam, CT. It is home to the Silver Circle and Pomfret School Galleries, a community lounge for relaxing, meeting, enjoying food and beverages, and features local health and wellness facilitators who offer yoga, meditation, workshops, art classes, events, private services such as art therapy, mental health counseling, nutrition and integrative health, reiki, and more. Rent out space for your small business, classes, art studio space, or as a venue for your private party/wedding/special occasion! email us block134community@gmail.com for more info and rental inquiries and stay updated by liking our FB page. Overlooking Cargill Falls, this off-campus venue gives Pomfret student-artists the opportunity to create and curate exhibits and performances in a public space. Many student pieces are available for purchase, with proceeds benefiting the operation of the gallery. The Pomfret School Gallery is managed by Studio Arts Teacher Jean-Paul Jacquet with the help of an advisory committee. meet our gallery artists, watch them work, learn more about their creative process, get to know their unique story as an artist. is a thriving area filled with acclaimed restaurants, boutiques, galleries, and antique stores. Concerts, Farmers Markets, The Pumpkin Festival, The Car Cruise, Trick or Treat Street, and more. work very hard to keep our small community vibrant for locals and visitors alike. See why Boston Magazine named Putnam one of the top 15 small towns to visit...see for yourself why Putnam is the Place to Be! Visit www.discoverputnam.com for more tourism information.